Katherine E. Grimes, MD, MPH, is a child psychiatrist and children’s health services researcher whose contributions to the field of child psychiatry were honored in 2016 by the American Academy of Child and Adolescent Psychiatry. Dr. Grimes is the Founder and Director of the Children’s Health Initiative, at Cambridge Health Alliance (CHA), and was recently awarded a multi-year SAMHSA grant to study integrated systems-of-care for children. She also serves on the Child Health Services Research Interest Group for Academy Health, and is a consultant for the Center for Health Care Strategies, examining national trends in service use and expense. 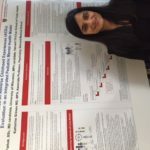 Dr. Grimes and her research team piloted shared training for pediatric residents and child psychiatry fellows in the delivery of mental health services for children within primary care in a study funded by the BCBSMA Foundation. She is currently extending that experience as an HMS – Academy member, with her medical education focus on teaching collaborative practice methods and improving workforce capacity. Dr. Grimes is the PI for the longitudinal study of Massachusetts’ “Mental Health Services Program for Youth” (MHSPY), via a grant from the RWJ Foundation. 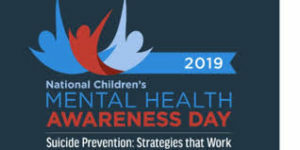 MHSPY is an internationally recognized approach to cost-effective treatment of children and adolescents with serious emotional disturbance (SED). It was financially self-sustaining through a uniquely integrated system-of-care that relied on shared goals and blended funding across primary care, schools, juvenile justice, child welfare and mental health. Dr. Grimes obtained her MPH from the Harvard T.H. Chan School of Public Health and is a former Faculty Research Fellow at Harvard’s Kennedy School of Government. 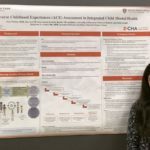 Her experience with designing and delivering integrated care in the public sector has led her to focus her health policy efforts on improving mental health access and treatment quality for children and adolescents. Dr. Cook is the Director of the Health Equity Research Lab and the Center for Multicultural Mental Health Research, a Senior Scientist at Cambridge Health Alliance, and an assistant professor at Harvard Medical School. 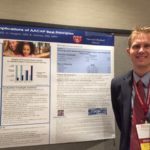 His research interests are in improving methods for measuring disparities, and applying these methods to understanding the mechanisms underlying mental health and substance abuse treatment disparities, the association between acculturation and mental health, and geographic differences in mental health service use disparities. He received a Ph.D. in Health Policy at Harvard University concentrating in Evaluative Science and Statistics, an MPH from UNC-Chapel Hill in the Department of Health Behavior and Health Education, and a BA in psychology from Swarthmore College. Dr. Hagan is the Chief of Pediatrics at Cambridge Health Alliance, as well as a CHA Regional Medical Director, and recent past-President of the Massachusetts Chapter of the American Academy of Pediatrics (MCAAP). As a key player in our recent five year grant to study integrated care for children, within a community-based, participatory research model, Dr. Hagan was instrumental in the design and implementation of the role of the primary care clinician in the integrated model. 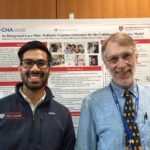 He also contributes his expertise as a mentor and preceptor for Harvard Medical School students and Massachusetts General Hospital pediatric residents to our clinical training initiatives. Karen Martinez is Supervisor Family Support Specialist. 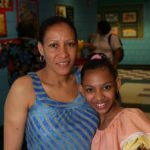 She is a mother of four children and has devoted her life to making sure that her children have all necessary formal and informal supports, so that they may be successful in life. For over 15 years, she has worked to empower families with children who have a mental health diagnosis, which is her heartfelt passion. 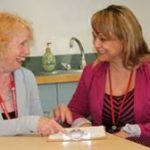 Karen offers parents guidance through her own lived experiences so they may be successful in their own worlds by identifying the family’s strengths and guiding them to the resources available to them to help create self-sufficiency. Karen worked as the bilingual Family Partner for “Mental Health Services Program for Youth” (MHSPY). During this time Karen participated in Care Planning Team processes with parents/caregivers, teachers, health care professionals, ensuring high fidelity to the Wraparound model and its practice. Karen assists parents/caregivers in meeting the needs of the youth through educating, supporting, coaching, modeling and guiding. Her work with families is centered on the cultural competence perspective, and understanding and approval of cultural distinctions, taking into account family’s beliefs, values, activities and customs. Karen obtained a degree in Early Childhood Education, Phi Betta Kappa and worked as a Lead Teacher as an educator of young children. 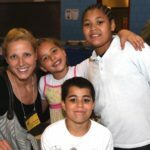 Lindsay DiBona, LICSW, is a social worker and serves as the E-SOC Clinical Care Manager Supervisor for the Children’s Health Initiative at Cambridge Health Alliance. Lindsay brings previous integrated experience from her roles as Lead Pediatric Clinician for the Team UP (Transforming and Expanding Access to Mental Health in Urban Pediatrics) Project at Lowell Community Health Center and Healthy Steps Clinician at MGH Revere Health Center. Lindsay received her Masters in Social Work from Florida State University and completed the Infant-Parent Mental Health Postgraduate Certificate Program at the University of Massachusetts Boston. Tim Button is an MPH student focusing on health policy at the Harvard T.H. Chan School of Public Health. Previously he spent 15 years at Truven Health Analytics managing and analyzing government healthcare claims databases. He is interested in ways that innovation and reform can reshape the healthcare delivery system, particularly around chronic illness and mental health. Emma is the Clinical Care Manager at Somerville Pediatrics, one of the E-SOC primary care practice sites. Emma is a Licensed Mental Health Counselor (LMHC) as well as a Registered Art Therapist (ATR). 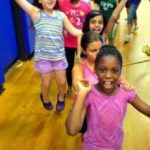 Prior to joining the exciting work of the Children’s Health Initiative Emma was a Senior Clinician at the Guidance Center where she provided In-Home Family Therapy to children and families around Cambridge and Somerville. Emma is passionate about helping families advocate for their needs, making mental health care accessible to children and families, enhancing comprehensive mental health services, and promoting collaboration between agencies providing care for children. Cecil Webster is an instructor in psychiatry part time at Cambridge Health Alliance (CHA) and Harvard Medical School, and the Clinical Program Director of Diversity Health Outreach Programs at MIT. He also maintains a private practice in Back Bay, Boston. Dr. Webster has been involved for five years in CHA’s integrated psychiatry/primary care clinic where he most recently served as rotation supervisor for child and adolescent psychiatry fellows. He has published and presented in areas including mental health/pediatrics integration, LGBT parents in primary care settings, school mental health consultation, and culturally mediated influences in psychotherapy such as racial/ethnic identity, and gender and sexuality. He completed his general residency at Baylor College of Medicine where he served as chief resident, and his child and adolescent psychiatry fellowship at Cambridge Health Alliance/Harvard Medical School. He is a former Diversity Leadership Fellow of the American Psychiatric Association, as well as a former American Psychoanalytic Association Fellow. Timothy Creedon is a Research Associate at the Health Equity Research Lab and a PhD candidate in Social Policy with a concentration in Behavioral Health Policy at Brandeis University. He is currently the recipient of an F31 predoctoral training grant from NIDA and was previously supported by a T32 grant from NIAAA. His research interests include access to behavioral health services, racial/ethnic health disparities, social determinants of health, and community-based interventions (e.g., supportive housing) for individuals with serious mental illness. He holds a MA in Social Policy from Brandeis University and a BA in History from Tufts University.